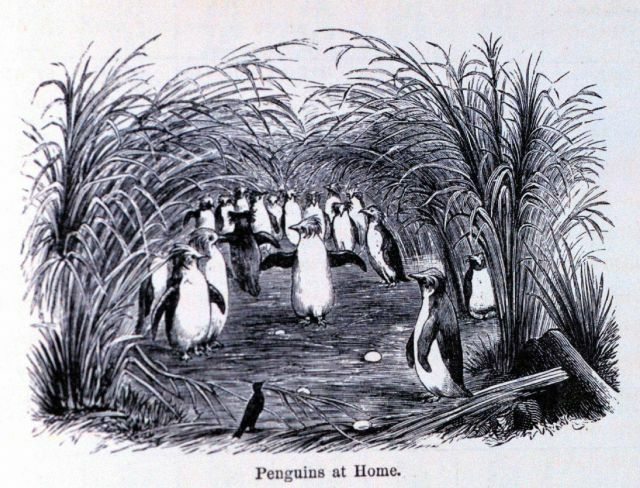 Penguins at home. In: “The Voyage of the CHALLENGER - The Atlantic” Vol I, by Sir C. Wyville Thomson, 1878. P. 171. Library Call Number Q 115.C59 1878. v. 2.